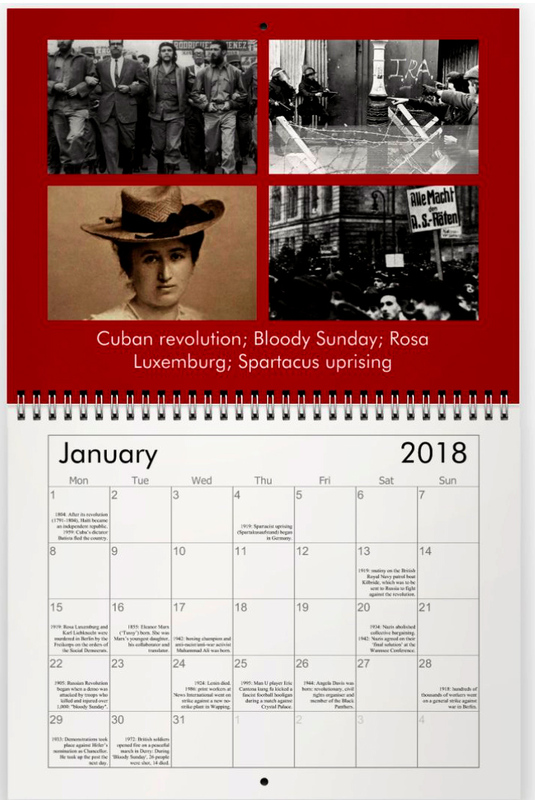 Working class history calendar 2018 | Campaign! 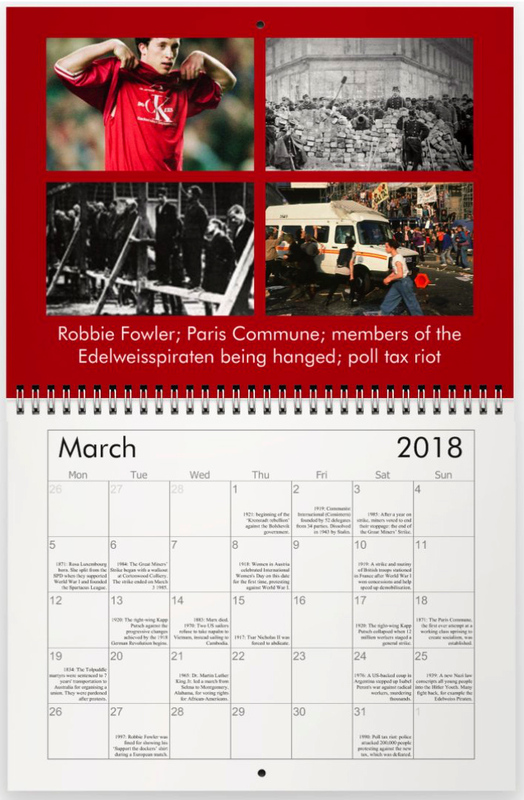 Wall calendar (21 x 28cm) with lots of dates, facts and pictures from working class history. 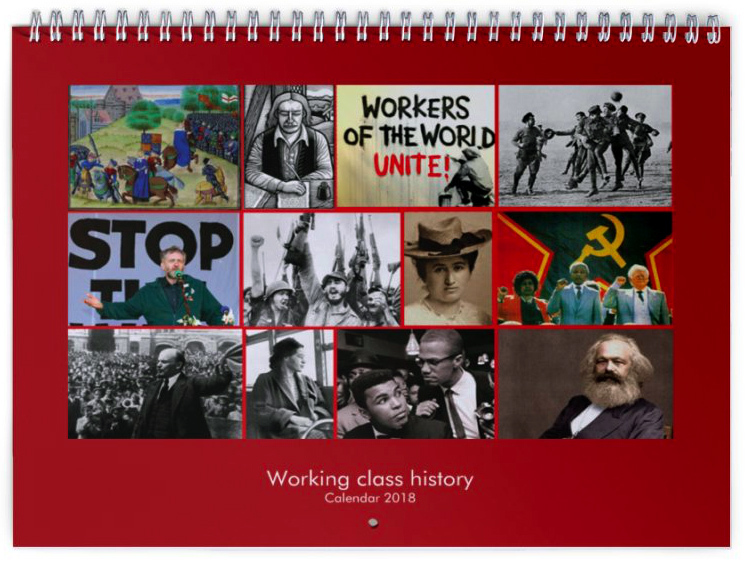 Click on the pictures for some examples.